Obituary for Jean Yvonne Cornish | Henry Funeral Home, P.A. Jean Yvonne Cornish was born August 30, 1933 in Cambridge, MD to the late William Ernest and Beatrice Sampson Cornish. She went to be with God on Monday, September 10, 2018 at the University of Maryland Shore Health Medical Center located in Easton, Maryland. Jean was 85. Jean attended Dorchester County Public Schools and graduated from Frederick Douglas St. Clair High School in 1951. 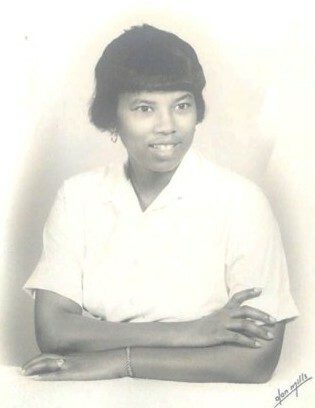 Jean attended Bowie State College for three years. In 1955, Jean relocated back to Cambridge, Maryland, where she worked for Campbell Soup Company in Chestertown, MD for eight years and Western Publishing Company for 32 years, where she retired in 1995. Jean gave her life to God at an early age and was an active member of Bethel A.M.E. Church. She was a founding member and the first President of the Lillian Hollis Singers. Jean served on the Homecoming Committee for several years. After an absence, Jean rededicated her life to God and attended services, even at the nursing home, until her illness prevented her. When Jean wasn’t sitting on her porch visiting/entertaining with family and friends, you could find her with a book. Jean was an avid reader, a love she passed on to her children. Besides her parents, Jean has been reunited with her two sons, William “Billy” Ernest Cornish II and Richard Timothy Cornish; sisters Gertrude Wilson Fisher and Mary Perry Hunt; uncles, Harvey, Roy, Robert, Gilbert, Calvin, Vernon and Ernest Sampson; aunts, Marion Brown, Thelma Ennels, Doris Meade and Shirley Sampson; nephews Montro, Timothy and Wayne Fisher and Gene Perry; a great niece Pamela Fisher; and cousin/brothers Leonadis and Robert “Bobby” Sampson, and a special cousins, Hilda Jenkins and Barbara Sampson. Jean leaves a daughter, Joyette Cornish Wilson; three grandsons: Andre’ (LaTosha) Cornish, Tyron (Cierra) Wilson and William Cornish III; four granddaughters: Kimisha “Kim” Cornish, Keita Bailey, Felicia Jackson and Zipporah Cornish; six great grandsons: Amir Goines, Embroin Jones, Kah’ Zion Johnson, Andre’ Cornish Jr., Christopher Smith and Tyron Wilson Jr.; seven great-granddaughters: Atahje Waples, Maya Dashiell, Samira Cornish, Marayah and Jhadori Anderson, Sah Ni’ Wilson and Nina Smith; one great-great grandson: Brinx Trippe; two daughters-in-law: Theresa and Brenda Cornish; three aunts: Clara, Delores, and Mozelle Sampson; and two sister/cousins Gwendolyn (Lucille) Saunders and Delores (Duck Annie) Perry, numerous nieces, nephews, cousins and friends..
Jean had a special relationship with Wynette Meekins, Cynthia Spencer, Cheryl Wilson Robinson, Sharon Elliott Chester, Renako Jenkins Randall, and Ivydene Spencer Elliott whom she loved as daughters; Gary Byran Jr. and Gabriel Butler whom she loved as grandsons, Virginia Camper and Juanita Wheatley her oldest and dearest friends; and Cynthia Meekins, Lenore Young and Nancy Jackson, her porch buddies.